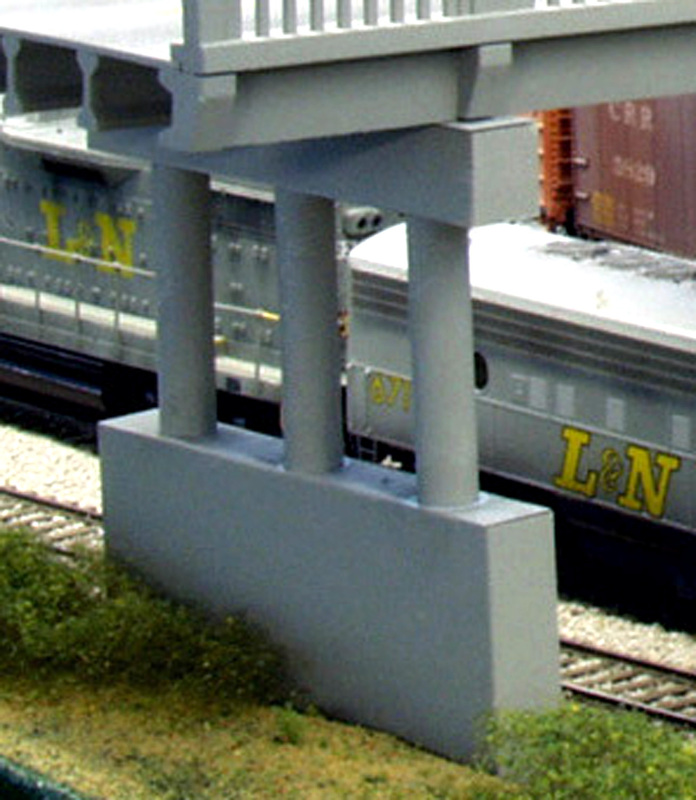 Highway Pier N Scale – Rix Products Inc. The Rix Highway Overpass for N scale is modeled after the bridges built during the 1930’s and 1940’s to span over railroad tracks. This style of bridge was used all over the country and is common to most people. The pier is designed to be adjustable so that raising or lowering the bridge for different heights is quick and easy. Dimensions: 1-7/8 inches wide and up to 3 inches tall.